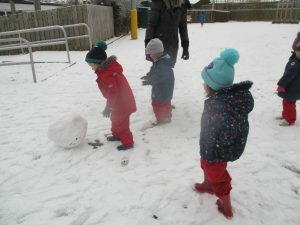 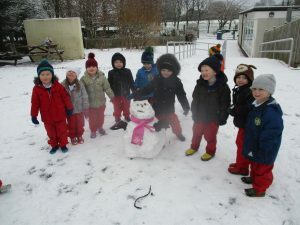 We have had some very wintry weather this week! 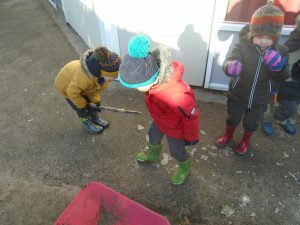 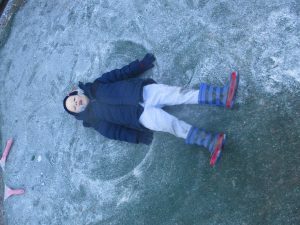 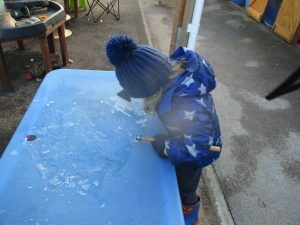 We found that lots of puddles and places where there was some water, had frozen into ice because it was so cold! 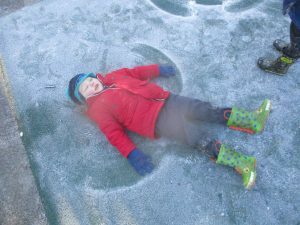 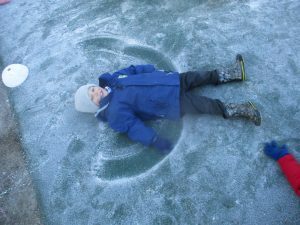 It was so frosty on this morning we could make frost angels! 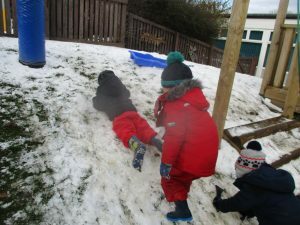 There was some snow too! 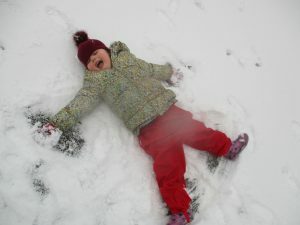 We get very excited when we can play in the snow! 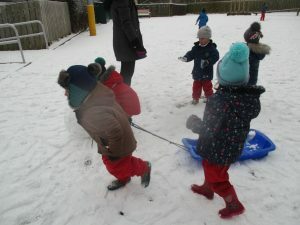 We took the sledges to the big yard! 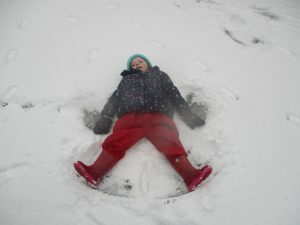 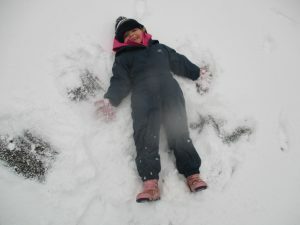 We made some snow angels! 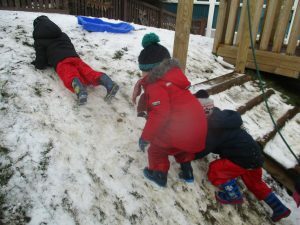 It was so slippery up the hill! 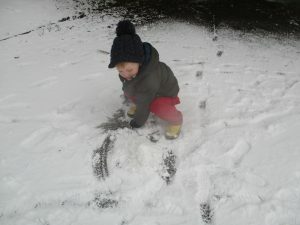 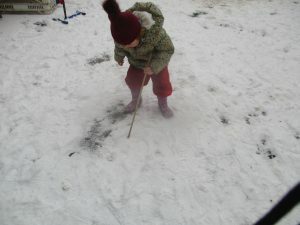 Mark making with sticks in the snow. 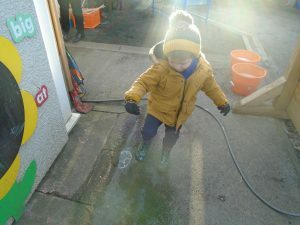 What a fun morning I had in Nursery on Friday. 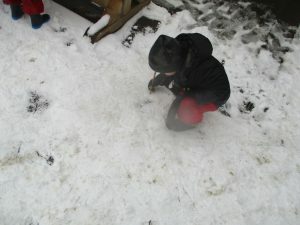 Played in the snow on the big yard. 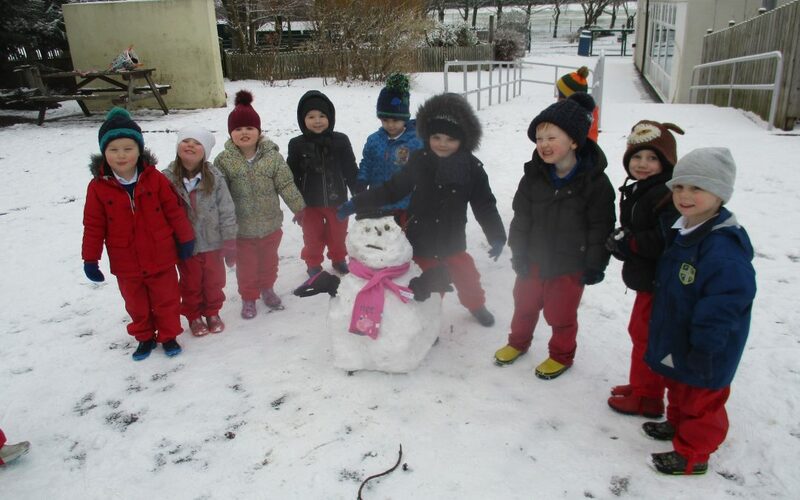 With a lot of help from everyone we managed to make a snowman and made sure he was appropriately dressed for the cold weather.